Not one teacher will doubt the power of persuasive writing. The question is are you doing it the right way? As educators with over 50+ years of combined teaching experience, we have seen the teaching of writing evolve into a dynamic interactive process with full student engagement and that is the key. We want our students to be active participants and change agents when it comes to persuasive writing. The art of persuasion is used every day by people around the world. Whether it be convincing someone to try a new food, or to close a multi-million dollar deal, persuasion is a fundamental cornerstone of initiating change in society. 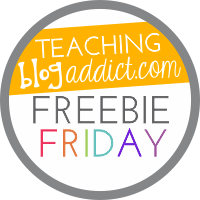 At the end of this blog post, we will be offering you a free resource that will help your students navigate the art of persuasion and allow them to become effective persuasive writers. Persuasive writing can be defined as a piece of writing in which the writer uses words to convince the reader that the writer’s opinion is correct with regard to an issue. Effective persuasive writing requires the writer to clearly make his/her claim and support it with reasons and examples. This takes work and cannot be simply someone’s opinions with out facts and evidence to back it up. What is the role of the teacher in this process? Teachers have to model and guide students through the process of becoming effective persuasive writers. It is not just requiring all students to write about the same topic, but letting their passions drive what they want to write about. This requires a lot of brainstorming about topics that really matter to them. We have developed a nine step process to help your students become expert persuasive writers. These steps are easy to follow and will effectively help your class write effective essays. We have briefly outlined the steps below. Brainstorm: With the help of the teacher, students brainstorm topics that are important to them. Audience: This is where students think about who their audience is. Would it be fellow classmates, the teacher, the principal, a parent, an opinion piece in the local newspaper so more people can be impacted? Purpose: Is the purpose to call people to action, to inform the public, to have someone change his or her ways? This is an important step to help students solidify why they are writing their essays. Main Claim: This is the student’s thesis statement. It has to be clear, specific and well-stated. Support: A student cannot have an effective essay without support. This step often involves research and the teacher can provide the necessary tools and support for this step. Objections: Every effective persuasive essay has to include the objections that people may have to a student’s topic. The next step will explain why. Response to Objections: When considering opposing views, a student must disprove the objections with reasons and examples. This step is necessary to add more credibility to their essay. Final Plea: This is where the student makes a convincing argument of why his/her topic is so important. It often restates the main claim with reasons. Effective Lead: The lead sets the stage for the rest of the essay. Depending on the audience, the lead will vary. But it is the first step in making a connection with the reader. We have a free resource that includes these nine steps and is ready to use in your classroom right now. You can download it for free here or click on the picture below. 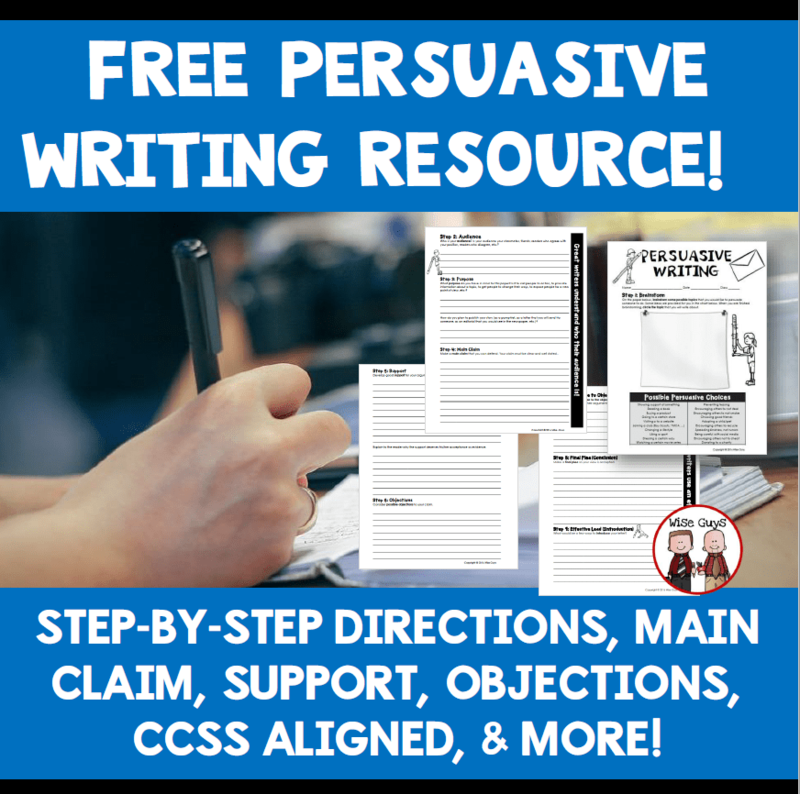 We are excited to hear about how using this resource will make your students effective persuasive writers! Find our free resource here. Hi I signed in twice and never got the freebie on persuasive writing. What can I do to get/download the material?